Home > Set design for In GOOD KING CHARLES’ GOLDEN DAYS. 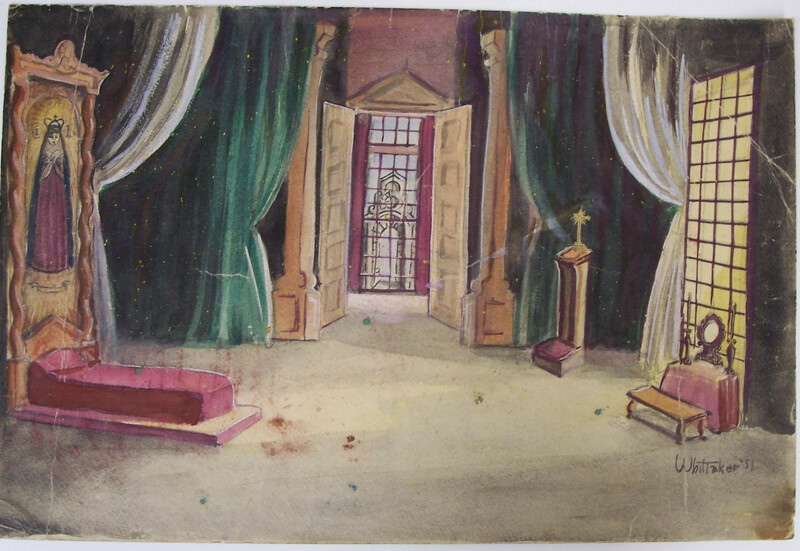 Set design for In GOOD KING CHARLES’ GOLDEN DAYS. Design depicts a bedroom with painting of a saint on the wall, small dresser, bed, and pulpit.